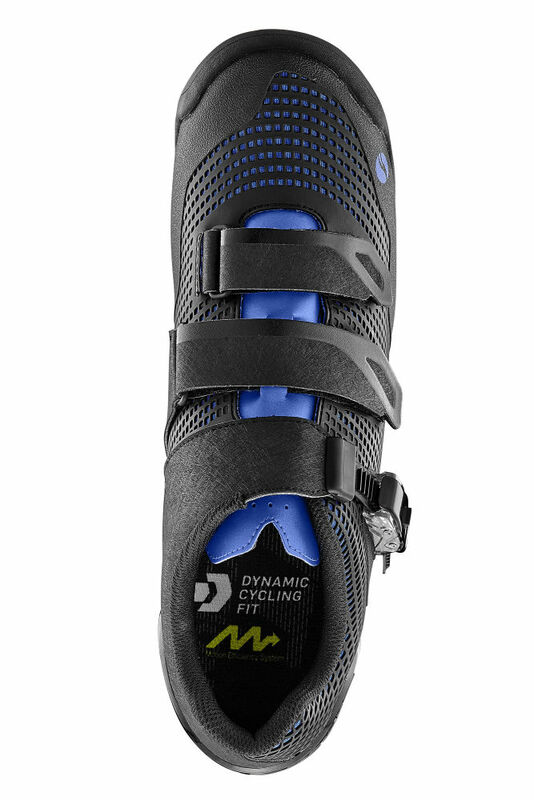 • Molded composite plate featuring ExoBeam™ technology meets the highest standards in heel-to-toe stiffness while allowing the lower leg and heel to move independently of the forefoot/pedal. 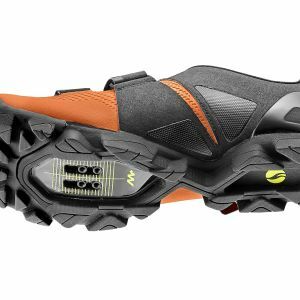 • Seamless KPU upper provides protection and ventilation while the toe box area helps protect against branches and small rocks. 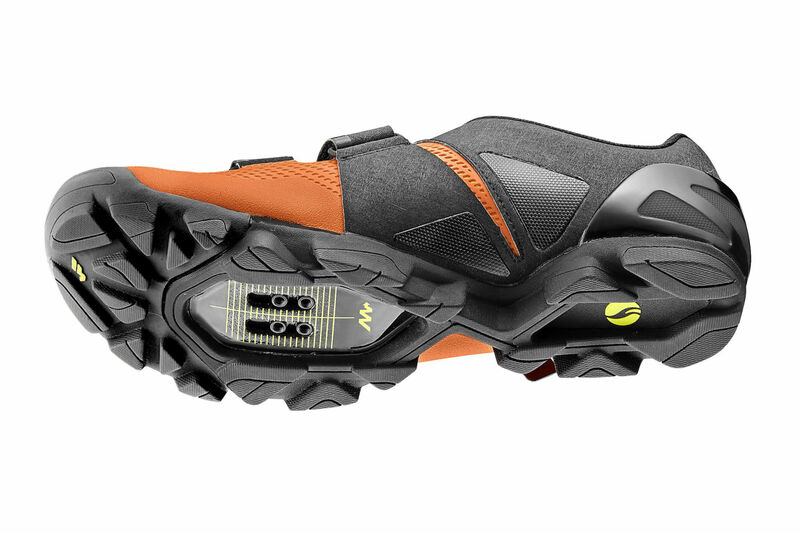 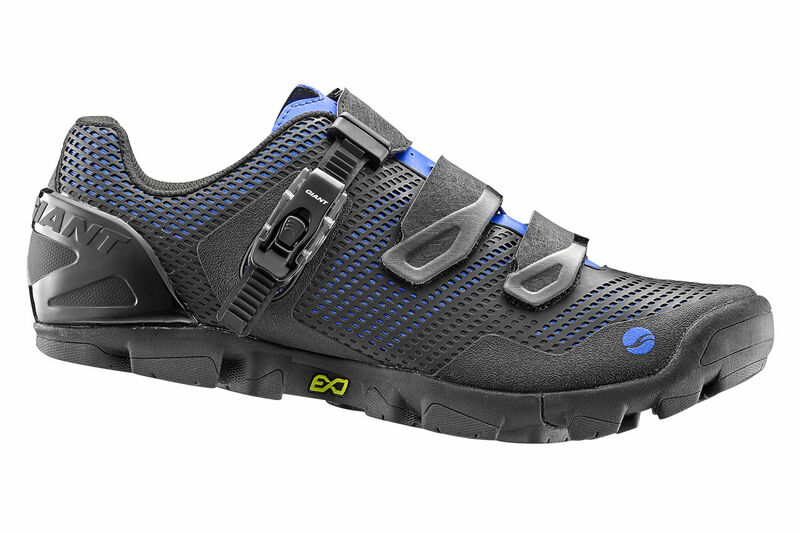 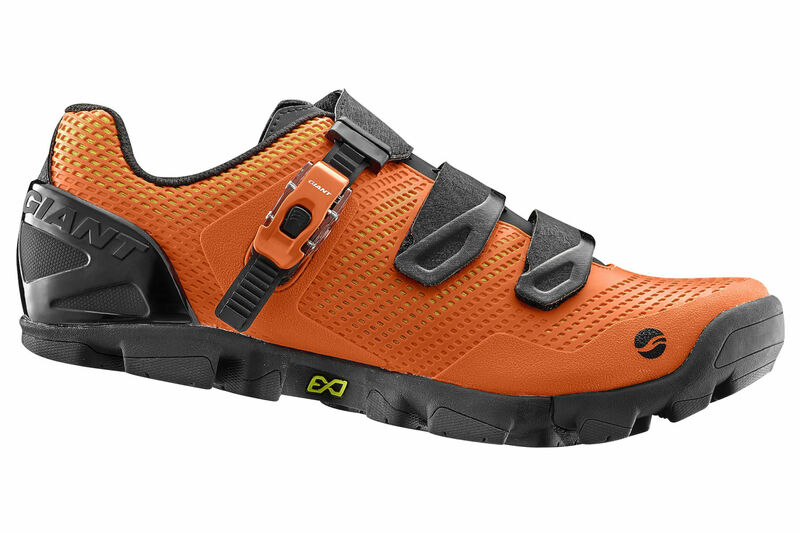 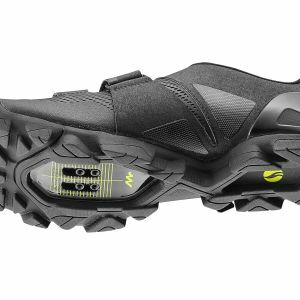 • Stiff composite ExoBeam outsole is protected by a full-cover rubber tread to provide outstanding traction. 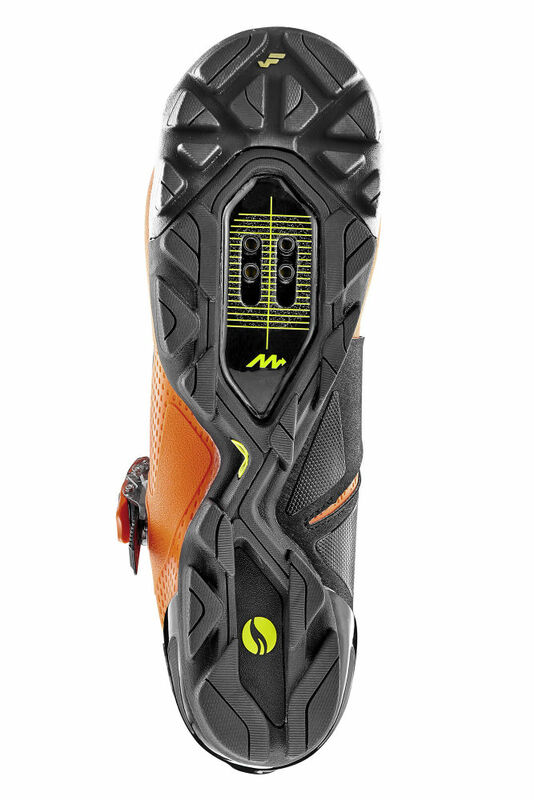 • ExoBeam™ results in a very efficient pedaling stroke, minimizing pressure on the knee and ankle joints. 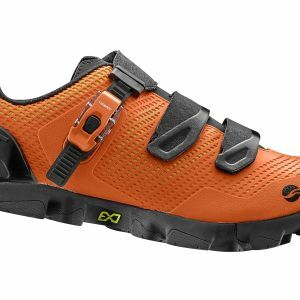 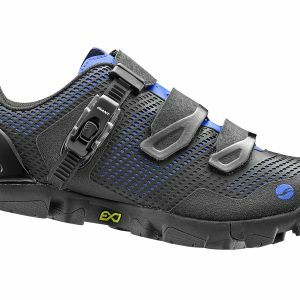 • ExoFlex built-in flex zone allows the toe area of the shoe to move independently of the main sole to optimize the natural flex of the toes, reduce heel slip, and improve overall traction. 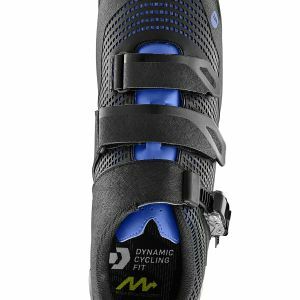 • Injection molded TPU heel cup provides a secure fit and is combined with a unique gripping material with fibers oriented for easier entrance to eliminate heel slip. 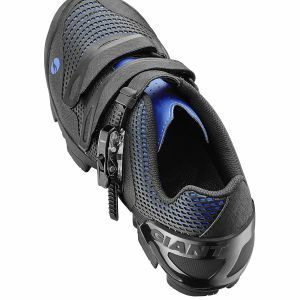 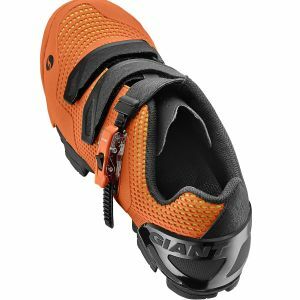 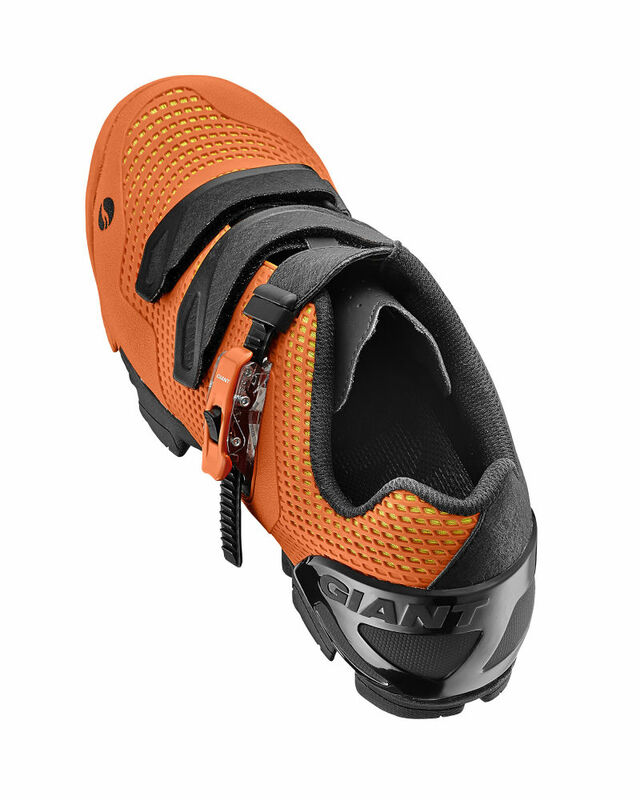 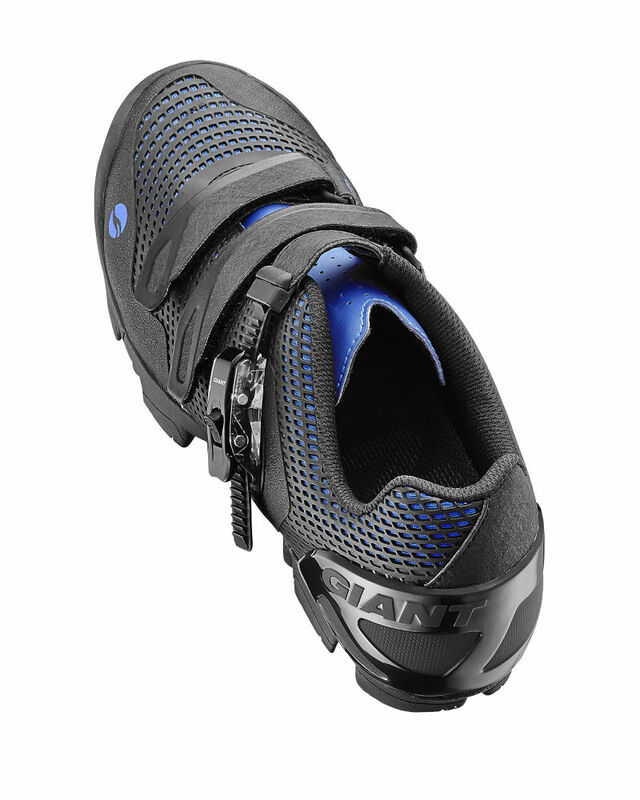 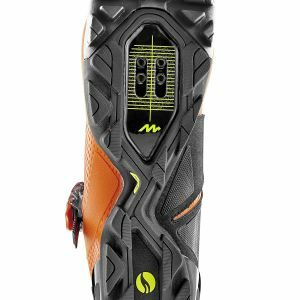 • Wide range cleat position adjustment.